For the physically fit, and those looking for an excuse to get off the couch, there’s no place better to get your heart racing than the annual Founding Fathers 5K Run, Ride and Wellness Fair. Laredo’s warm climate allows for runners and walkers alike to enjoy a crisp February morning with a brisk run. Participants can enjoy one of the premiere chip timed 5K in Laredo. If running isn’t your thing, walkers are also welcome and the public is invited to attend the Laredo Medical Center’s Wellness Fair and take advantage of the numerous free health screenings. Early Registration and Late Registration price includes runners, walkers and cyclists. The WBCA Cup is a cross-country style 5K race, co-ed teams of 7 may enter. Compete for the WBCA Cup & bragging rights for a year. To enter you must register online, no late entries will be allowed. The price per team is $140. The Dual Run price includes the WBCA Founding Fathers’ 5K Run, Ride & Wellness Fair on Feb. 16 and WBCA Liberty Run Sponsored by The Outlet Shoppes at Laredo on Feb 23. All finishers for both races will be able to connect the medals together for one commemorative award. 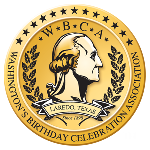 The WBCA Liberty Run Sponsored by The Outlet Shoppes at Laredo is a 2 mile run that runs along the WBCA parade route, starting at the Grand Stands and finishing at The Outlet Shoppes at Laredo. Packets may be picked up 2/15 from 1 PM – 6 PM at LMC’s Tower B, Community Center Room. Packets include bib, timing chip and safety pins. Participant t-shirts will only be available to the first 300 runners to register. Click here to see route for Fun Ride. Click here to see route for Fun Run. Most Patriotic Award: Based on number of attendees dressed up showing their patriotism. Fittest Organization Award: An award will be given to the group with the most runners. WBCA Cup: An award will be given to the team with the best average time. Team must include 7 runners (Coed, minimum 3 females). Top 5 runners averages will be taken to decide winner. The Wellness Fair will be open and free to the public from 7:30 AM to 10:30 AM. It will take place at LMC Tower B Rotunda and Community Center. Some of the complimentary screenings being offered at the wellness fair include blood pressure, cholesterol and glucose, vision checks, pulmonary function and more. Please be aware that fasting is required for certain exams. The Wellness Fair is brought to you by Laredo Medical Center. $ 140 Per Team of 7 Coed runners. ( Top 5 runners avg) for a chance to win the overall team trophy. 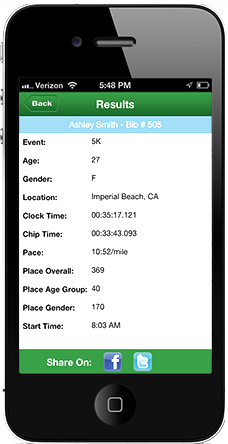 Runner will also be eligible to enter the individual age division. For more information contact 956-722-0589 or email us at wbca@wbcalaredo.org.